Successfully Added Tronsmart Quick Charge 3.0 Rapid Wall Charger - 80% Faster Charging, Over-Current, Over-Charging. Short-Circuit Protection to your Shopping Cart. The Tronsmart WC1T rapid wall charger takes full advantage of the Qualcomm Quick Charge 3.0 technology. By doing so it reduces charging time by up to 80%. That is a massive time saving when compared to a standard wall charger and its made possible by the fantastic output. It can charge devices at up to 12 Volts and with a 1.5 to 3 Amp current this EU Plug USB charger will knock hours of your charging times. Featured on many high end Android phones the Qualcomm Quick Charge 3.0 is perhaps the most astonishing charging technology to date. In tests this technology took a 2750mAh battery from 0% to 80% in just 35 minutes. That as much as 4 times faster than conventional charging. If you have a Quick Charge compatible phone or tablet then this is the charger for you. Even if your phone came with a Quick Charger wall charger having an extra means you can power up your device in next to no time at work and home and you won't need to take that charger with you everywhere. 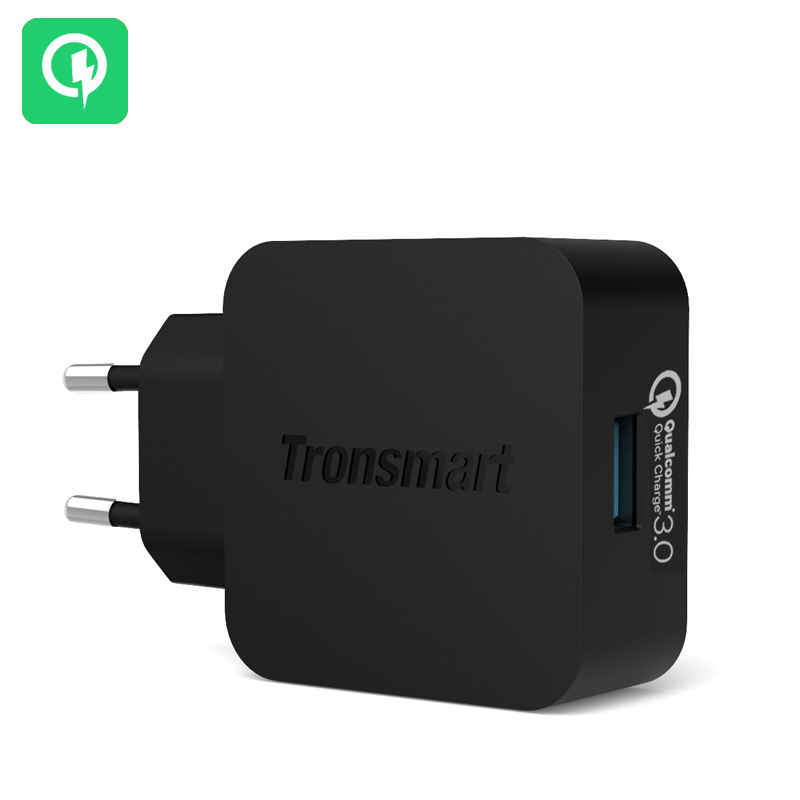 If some of your gadgets aren't Quick Charge 3.0 supported then that's ok as this Tronsmart wall charger is backward compatible with all Quick Charge technologies and will also work as a conventional charging adapter for any other devices. This Tronsmart Quick Charge 3.0 USB wall charger has an EU plug comes with 12 months warranty, brought to you by the leader in electronic devices as well as wholesale USB wall chargers and accessories..